The Barkeep (Ethan Hawke) is much more than that. He is a temporal agent for the Temporal Bureau, which polices criminal activity across time. With the use of his violin case (a coordinate transformer field kit), The Barkeep is able to jump back and forth through time. The Barkeep has repeatedly chased the Fizzle Bomber but the bomber continues to elude him. 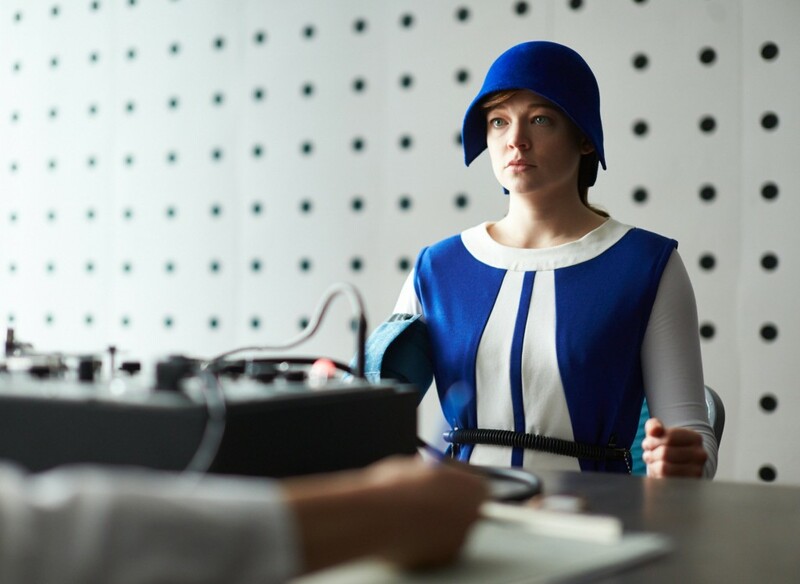 Enter the mysterious Unmarried Mother (Sarah Snook) character, a columnist with a story. The Barkeep bets the Unmarried Mother a bottle of the good stuff from the top shelf if the story is the best he has ever heard. Thus begins our journey. I have always enjoyed the performances of Ethan Hawke. Not just because he was attractive, but also because he seemed to bring out the foundation of the characters he portrayed i.e. Ben Crandell in The Explorers (yes he was a child but still excellent, I’ve watched him work a long time), Todd Anderson in Dead Poet’s Society, and especially one of my favorites, Finnegan Bell in Great Expectations. His performance just seemed honest. 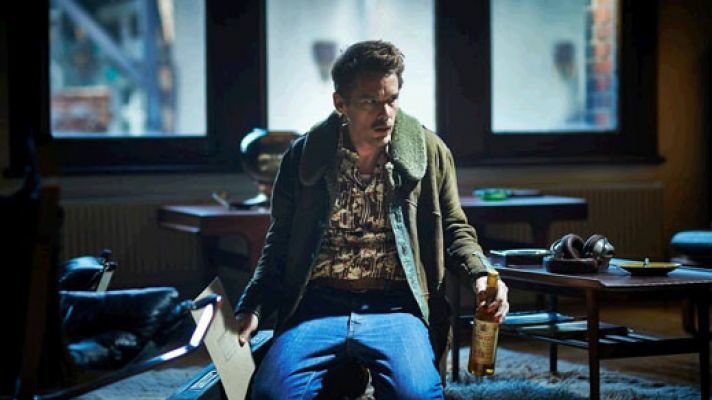 Hawke doesn’t disappoint in Predestination. An interesting surprise was Sarah Snook. Snook was wondrously androgynous and handled her complex character with ease. She reminded me a lot of Theresa Russell in her ability to show great depth of emotion in utter stillness. They even somewhat favor each other in appearance. I’ve never seen her before, but I look forward to future works. Predestination is listed as a sci-fi thriller, but I’d argue the film is a sci-fi, psychological crime mystery. The lack of suspense disqualified this film as a thriller for me. I was too lulled to a state of calm to be excitable and in suspense. The film was very predictable, but maybe that was just me. I guessed plot points and was accurate 90% of the time. Predestination is still enjoyable as a twisted piece of work. Basically, this film will keep you guessing if you’re not like me. I just wish it wasn’t so easy to figure out. The story holds its own with what appears to be a limited use of special effects, which is rare for a sci-fi film. The pace was decent, so thankfully no dragging. 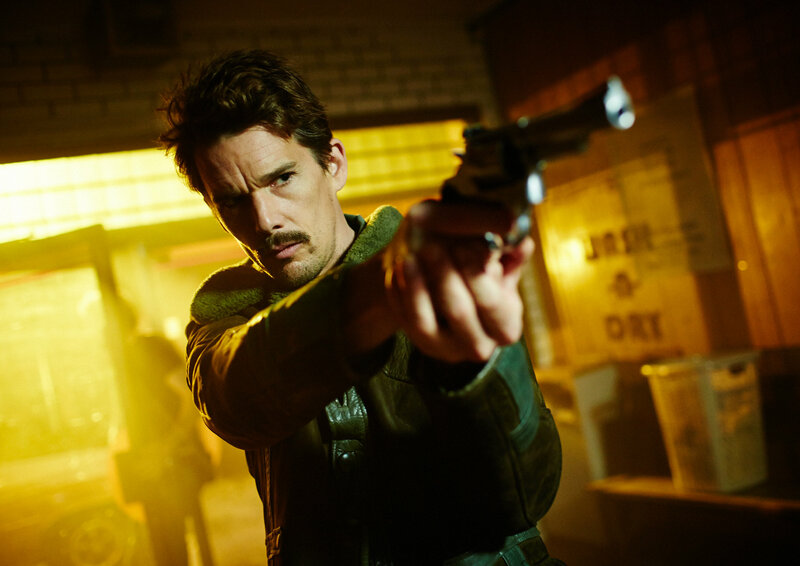 If you want to have your mind blown and flipped more than Two Faces’ coin (that’s right, the DC Comics villain), go see Predestination at either the Texas Theater beginning Friday or via Video-on-Demand. Predestination was the most interesting take on time travel that I have seen in quite sometime. Janet’s Film Review of ‘Interstellar’!! This entry was posted on Thursday, January 8th, 2015 at 11:23 am	and is filed under Film, News. You can follow any responses to this entry through the RSS 2.0 feed. You can skip to the end and leave a response. Pinging is currently not allowed. « Liam McIntyre To Play Weather Wizard in ‘The Flash’!!! You can't kill the future.